What would you do when you have lost all hope and tragedy strikes not once but twice? Give up? Shivani Gupta is a living example of how a woman goes on to live and achieve and make the lives of others better. No Looking Back : A True Story is inspiring and of course pricks your heart. Twenty-two-year-old Shivani had thrown a party one evening—and awoken the next morning in hospital, her spine and her dreams shattered by a car crash. Paralysed and then wheelchair-bound, it took Shivani years of pain, struggle and determination to regain control of her life and her body; to demand and receive respect from the world; to gain acceptance from within and without; to find love and happiness. Then tragedy struck again. As the newly married Shivani drove to Manali with her family, an oil tanker collided head-on with the car; bedridden once again, she watched helplessly as first her father-in-law and then Vikas, her husband, succumbed to their injuries. And, yet, Shivani refused to surrender—she would not let her inability to walk keep her from achieving her ambitions. 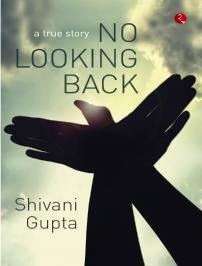 No Looking Back is a deeply moving and inspiring narrative about surviving the challenges of disability in a country that takes little account of the daily difficulties and indignities faced by approximately fifteen per cent of the world’s population, whether in terms of infrastructure, legislation or awareness—a country that appears to believe that disability equals invisibility from the public discourse. Undeterred by the hand fate had dealt her, Shivani Gupta has chosen to champion the cause of the disabled everywhere and is today one of India’s best-known accessibility consultants. Her life is an extraordinary testament to true courage and the indomitability of the human spirit in the face of overwhelming odds. Your life can be a motivation for many who have suffered these sort of tragic accidents and are suffering from one or the other disability. 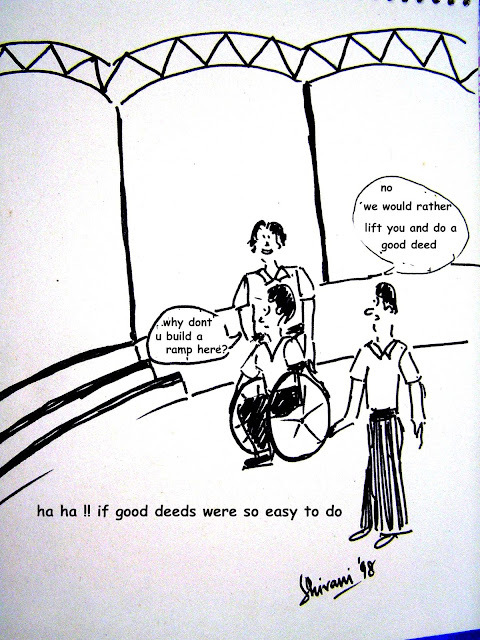 Being a sufferer of a similar fatal accident, i lost the ability to walk and now I am dependent on wheeler chair but yes I am earning myself. This makes me feel more confident and a remedy to forget those old pains.